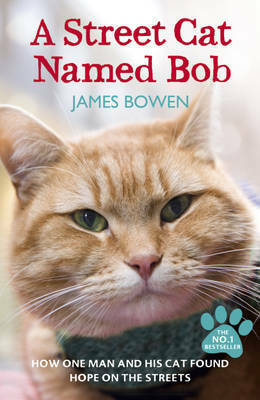 “I have been wanting to read “A Street Cat Named Bob” for a long time, and I can say that I wasn’t disappointed! James is a really likeable guy, and I found myself feeling so bad that he’d had to deal with such hardships. I guess that’s the difference between fiction and non-fiction; with non-fiction you know that these awful things actually happened. The book was really well written and I found that I couldn’t put it down. 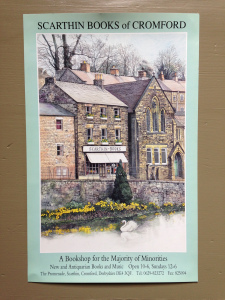 One WordPress site I have found to be a great source with regards to bookshops is Metro Guides. They say, “Follow Metropublications as we explore all aspects of London life” so make sure you check them out! The first entry in our Bookshop Spotlight series is the West End treasure trove that is Thistle Books! Located (hidden) on a small lane just off Otago Street, Thistle Books is owned and run by Robert Dibble and is packed to the rafters with literary delights, an impressive selection of sheet music and a well-stocked history section with a particularly Scottish flavour. Discovered only recently after a jaunt to the nearby Tchai Ovna, I was charmed by the shop’s cosy atmosphere and excellent variety. It eschews the sort of Black Books-esque disarray and mania that most second-hand bookshops seem to thrive on – indeed, though bursting at the seams, there’s (joy) actual floor space and some semblance of order. Which appeals to strange folk like myself, who consider a Saturday spent hoovering a very satisfying day indeed. Basically it talks about a new app which was designed by Mark White, a doctor with London’s Air Ambulance service who realised that people in medical difficulties could be nearby to someone who could help them, but that those people who could help would never know about the emergency unfolding nearby. I have found a really useful website all about UK literary festivals. See here for a list of UK literary festivals in alphabetical order.